Photograph courtesy Kelvin Andow Photography. We were saddened this week to learn of the passing of Dr. Jack, one of Mayo Clinic's greatest ambassadors and, according to a tribute from one of his many admirers, "the best doc in the house." Dr. Jack, a 13-pound miniature pinscher, spent more than a decade as a facility-based service dog at Mayo Clinic, providing comfort to many patients during his tenure. According to Marcia Fritzmeier, Jack's human companion, he had a knack for giving those patients just the medicine they needed. "Jack was a very intuitive, compassionate little dog," Marcia tells us. "And that wasn't something I taught him. It came from within Jack. People absolutely adored him." Perhaps no one more than Marcia. "I was so blessed to have Jack in my life," she told us in a voice choked with tears. "He changed my life." And many other lives as well. 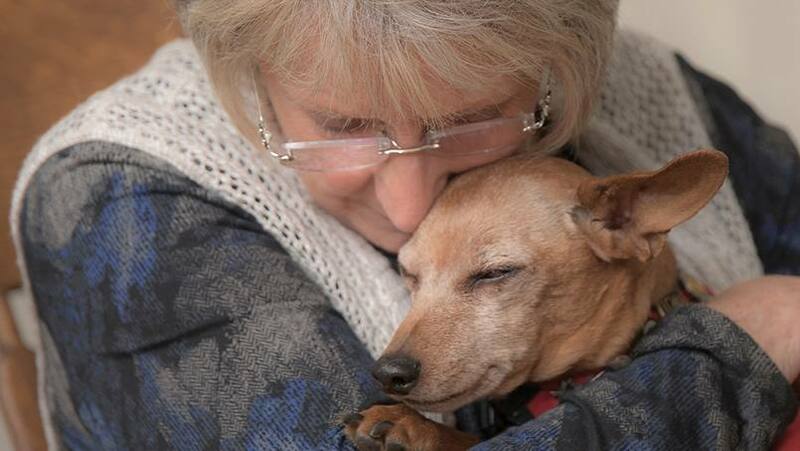 The little dog with a big heart was trained to work with patients in their recovery process, and Marcia says there was "no end to what Jack could do." According to a recent profile in Wagazine (our new favorite magazine), "Beyond providing moral support, Jack followed the patients' voice commands during speech therapy; he sat for brushings as they strengthened weak arms; he strolled beside their walkers while they regained balance and mobility." Marcia told Med City Beat that Jack also was "a monumental motivator." And a great comforter. Patients sometimes even requested Jack's presence at the end of life. "He knew how to respond no matter what the situation," Marcia says. In 2010, Jack's story reached a larger audience when he was featured in the book Let's Visit Mayo Clinic With Dr. Jack the Helping Dog. "When we decided to publish a heritage book for children — and readers of all ages — we turned to Jack as the tail-wagging symbol of the Mayo Clinic Model of Care," says the book's author, Matt Dacy, director of Mayo Clinic Heritage Hall. Dacy tells us that a second edition is in the works "to update Dr. Jack's story and impact on patients." Jack was even immortalized with his own plush toy, complete with a red service vest just like the one the real Jack wore while working. "When I'd get his service coat out he'd get so excited he would spin in circles," Marcia says, adding that the vest helped Jack transition from a pet to a dog with a mission. "He was a totally different dog under that cape," she says. Jack retired in 2013 after a back injury and hearing loss made it difficult to continue to do the work he loved. When he later lost his vision, Marcia and her husband, Gary, made accommodations to their home. "After all the years of joy and encouragement he has given to others, it's our privilege to take care of him," she told Wagazine. That care continued to Jack's last moments, as Marcia cradled her faithful friend as he passed away. "He was ready, but I'm not sure I was," she tells us. But she takes comfort in her belief that there were other arms waiting to welcome Jack when he left this world: those of two special young patients he helped care for before their deaths. "When Jack left my arms, I believe (they) were there to take him into theirs. So he's in good hands." Have a comment about this story? Leave your comment below. Then, you can use the handy social media tools to share this story with others. Sounds like he was such a sweet dog. I’m sorry for your loss. May he rest in peace. Dr. Jack paved the way for all of our Caring Canines at the different sites! I know exactly what Marcia indicated that Jack just KNEW what to do. 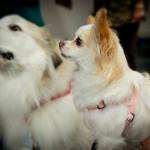 My Zoe, the first Caring Canine at the Jacksonville Campus was like that. I said that from the minute I held her in my hand (Yes, she was that small!) I knew she would be a pet therapy dog. I’d never done anything like that but she just had this aura that could not be denied. We had to wait a year before getting a license but she put in 8 years of pet therapy with amazing results. Jack, like Zoe, were meant to be on this Earth to do good. Thank you for being the groundbreakers! God bless you Jack! i was so sadden to hear about Jack! im jacks breeder the lady who donated jack to hearing service dogs i would love a copy of this news story! marica has my address! thank you! he truely was a amazing lil dog! little did I know when i donated him he would impact so many lives! if i had it to do over again there would be no question in who would get a pup of mine! just want to thank marica for begin such a wonderful and caring owner and a am azing woman to a amazing lil dog! Such a touching story! It seems the dog was an embodiment of love and compassion.